Foolproof recipes for every occasion, this collection will secure a place on your kitchen bookshelf. 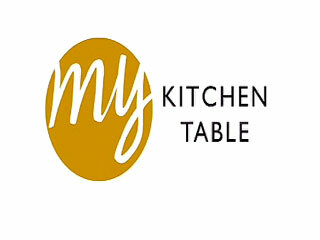 Start reading My Kitchen Table: 100 Cakes and Bakes on your Kindle in under a minute. This is identical to the baking bible and half the price. Save money and buy this one! Lovely little book all round really, pictures for every recipe, nothing too challenging if you are pressed for time, but by the same token there are a few that will need a good deal of time and faffing around such as the raspberry meringue roulade and a couple of others that we all know and love to eat. I've already picked out loads of things to make, some look really fancy and difficult in the picture but when you read them through you realise how simple they are to make, they only LOOK like hard work. As with all MB's books, there's the odd repeat from another of her books but I can live with that. I have a copy of her very first printed book by Hamlyn (The black covered one) and I noted that many of the recipes she wrote then have been updated in her more recent books such as Bakewell Tart. It seems she has replaced the original frangipan filling with sponge and some scattered sliced almonds, that's fine if you are in a hurry but the old frangipan recipe is soooo more-ish, I think I might stick to that even if it does take longer to make and bake. There's really nothing in this book to complain about, the recipes are great and you don't have to be an award winning baker to make them. Best of all for me, she's introduced me to a whole new list of recipes and ingredient combinations my other books don't have. Very happy to recommend this lovely little book. I have used this book for the past 7 years or so. I have several other baking books that are much more glossy and expensive, which I love to look at, but this one is my go-to book when baking a cake for any family occasion. Every time I bring along a cake baked from this book, my sister asks for the recipe, so I finally bought her a copy of her own. 5.0 out of 5 starsAnother great from Mary Berry!! 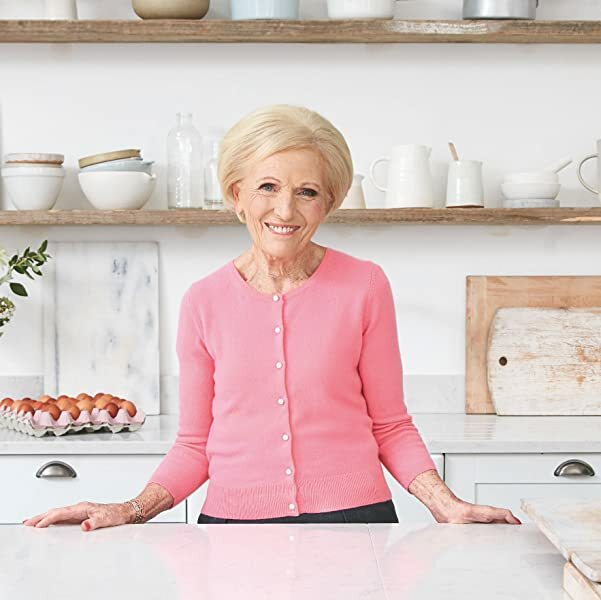 As is usual with Mary Berry's books, fantastically well written and well thought out. Nice baking recipes which can be undertaken by even a novice. Lots of traditional British bakes with other more modern and continental cakes also. Well photographed, easy to follow instructions. All round, a very nice book indeed. 5.0 out of 5 starsPerfect for my two Star Bakers! 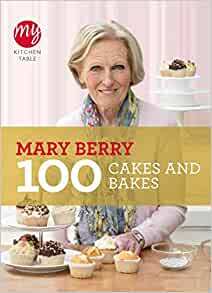 My husband and grandaughter have got the baking bug, so I bought this for them, knowing that Mary Berry's recipes are going to reliable. So far, their results have been very good. Too good, in fact, as I think we're all piling on the pounds. The book is well illustrated, and the recipes are clear and easy to follow, according to hubby. Grandaughter is appreciating licking the bowl too! Just made the *best* chocolate roulade I've ever had from this book. The recipes are straight forward and easy to follow, and turn out amazing. I can't wait to try out the other recipes, like the black forest gateau, coffee and walnut traybake, banana loaf, and cappuccino cake. A tad expensive for the size it is. Recipes however very nice. Bought on a recommendation from an aunt who is a fellow baker. They taste good too - cannot go wrong with Mary Berry recipes!!! Great little book with every possible cake written in a simple way without too many steps or ingredients. I am so baker to say the least and I have managed a few of the easier receipes. Small book handy to keep around in the kitchen, rather than some cook books that are very big.